You can make lasting change in these people's lives by sponsoring them to attend The Perfect Step, pay for medical supplies, purchase new wheelchairs, or adapt their homes or vehicles. Start improving someone's life today. Jennifer was injured in 2008 in a sledding accident. Jennifer's hard work at The Perfect Step has paid off--she recently was able to walk across the stage at her USC graduation in May of 2016. Help Jennifer to reach her next goal of standing independently. Jared enjoyed a normal child hood and always loved to play soccer with his friends. 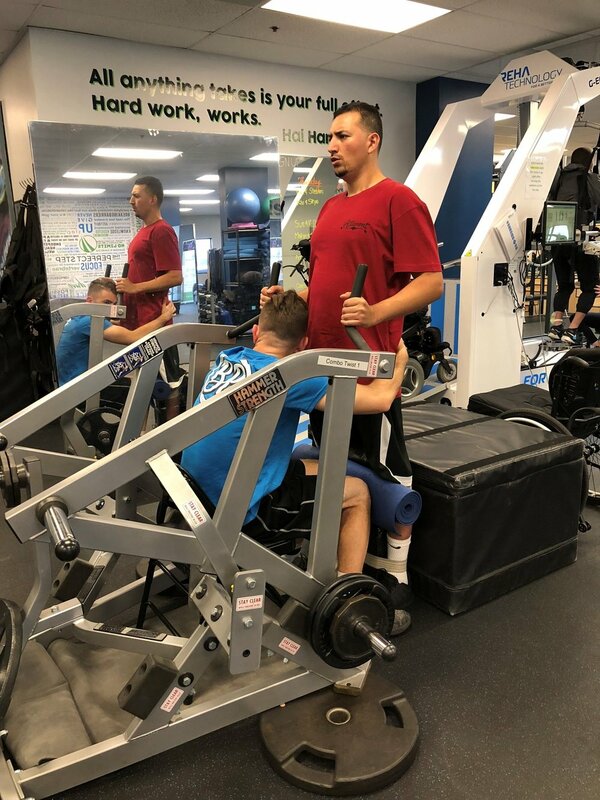 Recently Jared contracted a neurological disorder, transverse myelitis, that has attacked his spinal cord leaving him paralyzed. Help Jared to say on his path to recovery at The Perfect Step. Chris was injured in November 2009, in a sand buggy accident. "The donors are a huge blessing to us who struggle daily with the simplest of things that the world doesn’t know or see. The donors are changing lives in and powerful way and god see‘s how they continue to give us something without even truly knowing us." Elizabeth was in a motor vehicle against pedestrian accident. Resulting in an incomplete spinal cord injury and a knee disarticulation amputation. Oswaldo was injured in December 2016, in an auto accident. As a T-5/T-6 level injury, Oswaldo's immediate goals are to drive again. The physical therapy that Be Perfect has helped him get is allowing him to have less nerve pain and spasms. The future is bright for Oswaldo. I was injured on January 22, 2016 after I suffered a Left side hemorrhagic stroke. I have aphasia, right side weakness, right arm/hand paralysis, right leg weak, drop foot. I just started at The Perfect Step, but I already feel stronger and a bit more independent. I'm sure with time I will see so much more. Anthony Chavez, 36, previously lived his life from the perspective of about 15 feet in the air, generally descending towards the water at some point to land his next great trick on a wakeboard. Now, Anthony propels himself on ground-level and is ascending towards his next big trick of walking away from his wheelchair. On Saturday, May 21, 2011, at 3:15 A.M. John woke up thinking he was late for work. After John figured out he wasn’t going to work, John then decided to go downstairs, where there he mis-stepped causing him to go into a head first slide. John was then rushed to the hospital only to be diagnosed as a incomplete C-5, quadriplegic. 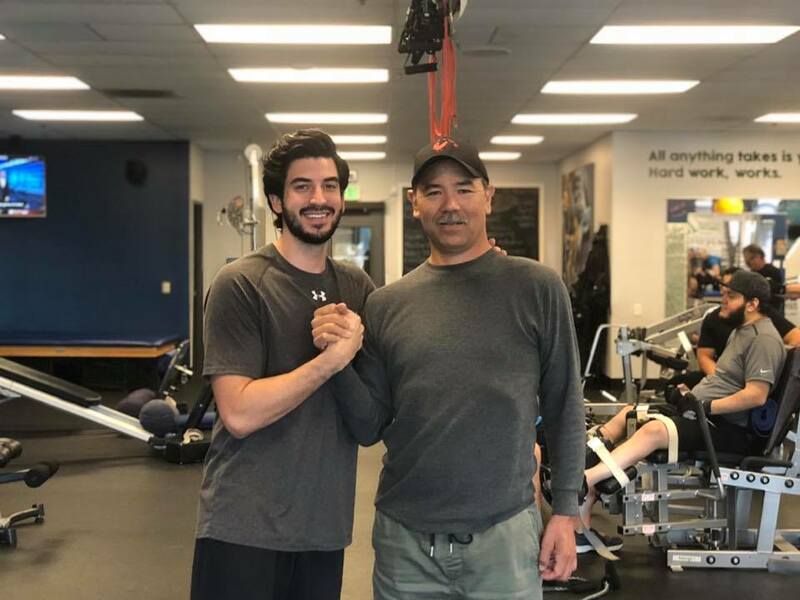 Andy is more than 10 years post injury after suffering a traumatic brain injury from an unfortunate skateboarding accident. 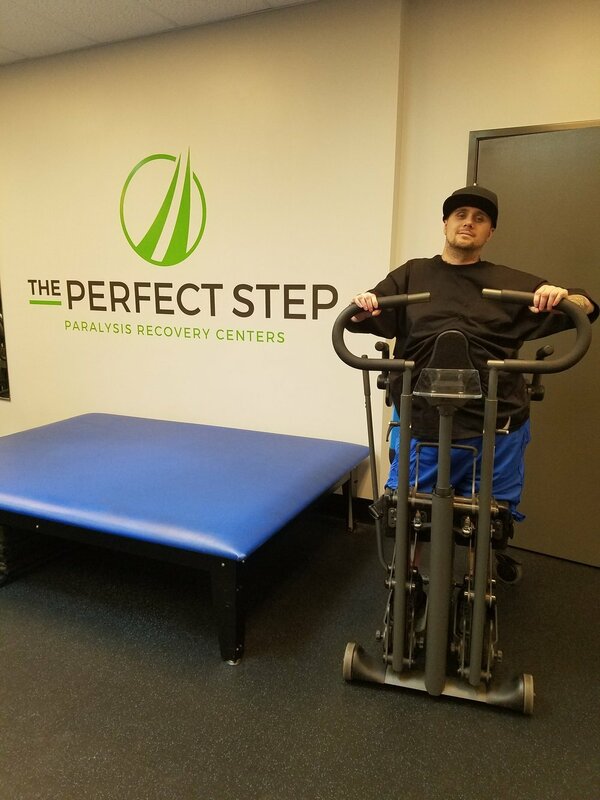 Help Andy to stay on his path to recovery at The Perfect Step. Christian was enjoying a day at the beach with his girlfriend when he decided to take a plunge in the ocean. He did not realize that he was diving into a shallow area. 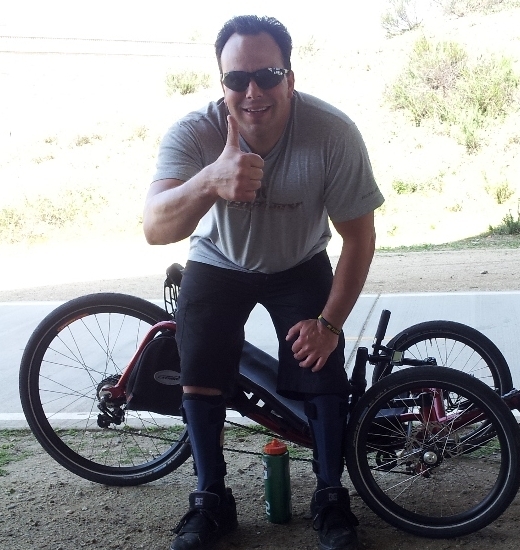 My name is Raul Garcia and I am a C7/ T1 Spinal Cord Injury. I was a victim of a gun shot on February 1st, 2017.I have not been in The Perfect Step the program long, but the few therapies I have had have been very aggressive and I really like them. I suffer from Congenital Muscular Dystrophy and Severe Hypotonia, which I contracted at birth. The Be Perfect Foundation has closed the gap on a need that no other social service, insurance, or program has been able to meet: access to high level therapy. I currently get therapy, at The Perfect Step "TPS", once every other week, which falls well short of what is needed to fight my contractures. Nick Aguayo, 17, was experiencing a much different daily life in September 2018. As a senior stand out at Wilson High School (West Covina, California), the quarterback and leader of the football team, the star on the basketball team, an elite track star, and a social kid, Nick was living a life that was constantly filled with places to go, people to see, and things to do. Injured in July 2012, John is it T-12 level injury that is making tremendous progress. John went to sit on his balcony railing around 8:00 am to read the paper and sat too far back on it and lost his balance and fell over. The fall was 3 stories up and John landed on his breaking his T-12 vertebrae. Two short months after giving birth to her daughter, a massive tumor was discovered growing inside of Earlasha's spinal cord. By the grace of God and her tireless efforts, she has advanced from quadriplegic (paralyzed from the neck down) to hemiplegic (paralyzed/severe weakness on one side). José Castro was injured in an off-roading Jeep accident in 2014. He was left paralyzed from the neck down and is a C1-C4 spinal cord injury. With limited neck mobility and being confined to a ventilator, Jose maintains hope regardless of circumstance because of supporters of Be Perfect. A little bit about me; My name is Oscar Dighero and I was injured from complications from a flu shot in November 2013. I would like to thank you for your kindness in offering me a scholarship to The Perfect Step. My name is Frank Mortelliti and I suffered a a stroke on June 8, 2016, which affected the left side of my brain, ultimately affecting the right side of my body. I sustained a stroke, after I came home from work and after I had dinner I went to open the mail and I had a stroke in front of my family. Jeff Merritt was injured on October 9, 2016 in Indio, CA, while he was on duty as a Motor Sargent, after he was hit by a car driven by a lady who was texting and driving. Jeff suffered an L-1 spinal cord injury, seven broken ribs, a broken left wrist, a broken left clavicle, and a broken right tibia. After his stay at Desert Regional Medical Center in Palm Springs, he was transferred to Casa Colina, until he was released from acute care in March of 2017. Jason injured his C-4/C-5 vertebrae and his spinal cord in a diving accident. Jason has made huge strides over the years at The Perfect Step His motivation? He wants to be the best dad he can be for his son Jayden. Brandon was in a snowboarding accident going off a jump and broke his C-5 instantly. He was flown to the hospital and had a halo put on for 3 months. 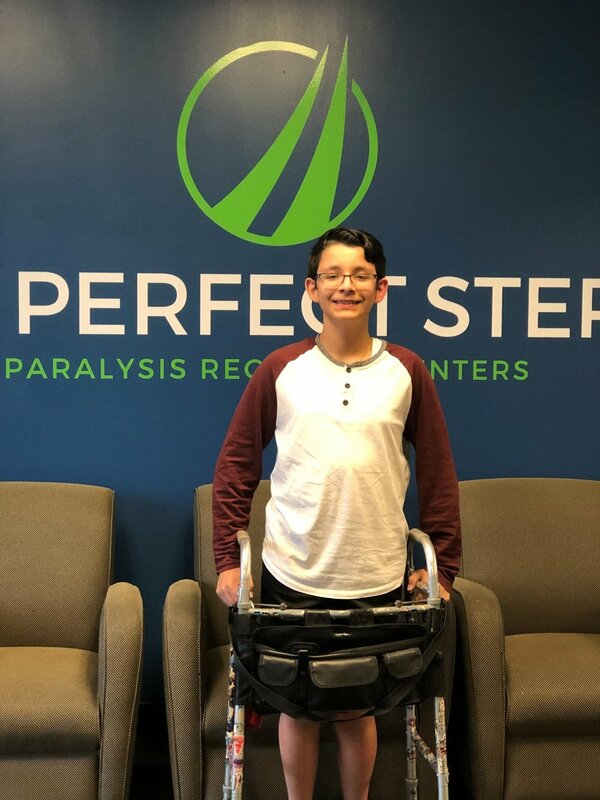 Brandon's assistance that he has received through Be Perfect has allowed him to get up and out of his chair permanently, as he continues to make strides daily towards an independent lifestyle. After falling from a three story balcony and sustaining and T-9 through L-1 spinal injury, Iris has regained hope again! Iris is very grateful to all of the donors. Thanks to them Iris and many other people that were helped by B.P.F. are able to continue with their recovery. Jon was injured at the age of 14 in August 2001, after he crashed his dirtbike into a tree at Lake Arrowhead. 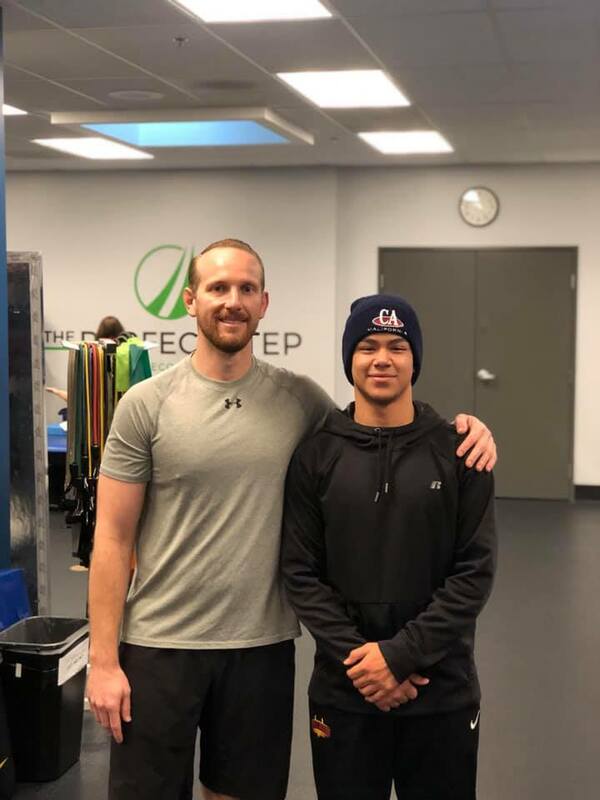 Jon is continuing to regain strength throughout his body because of his scholarship to The Perfect Step from The Be Perfect Foundation. On January 4th 2013 , I was struck with my first grand mal seizure out of nowhere doctors diagnosed it Viral Encephalitis ( a “ 1 in 10 million case by neurologists at multiple Kaiser Permanente hospitals who didn’t except me to survive). Andrew Zirzow is an avid mountain bike riding professional who sustained a C-6/7 spinal cord injury in February of 2017, in a mountain biking accident. For Andrew this was a routine ride through Sycamore Canyon Park in Riverside, when he went headfirst off of a jump after flying from about 10 feet up in the air.